Poppa has fallen asleep in his chair. Gran has made cupcakes, he ate two, and then, he passed out. He is across the room snoring now, it sounds kind of nice to me. Poppa is a good man, really, he is decent, he is decent in this old-fashioned kind of way that makes me smile. 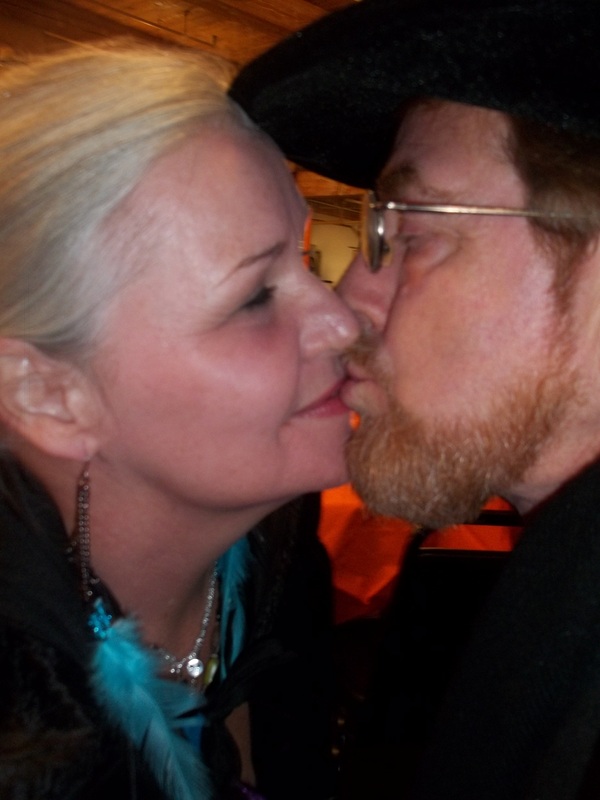 Even after three decades of marriage, I think he is the most agreeable man that I have ever met. He is a loving, praising, unconditional father as well. Our children think that he is a saint, I won’t go that far, but, sometimes, he gets real close. True enough, sometimes, he does get sort of spooky with those trains. His eyes get all bright and watery looking, his cheeks get pink, and, he gets really intense when he flips the switch, or blows the whistle, but, I guess I won’t complain, he could be into freakier interests. It is a miracle that any two people ever stay married. I guess the secret is to merge well. We merge well. I remember once back in the early nineties, it seemed like everyone we knew was getting a divorce. Our little girl “Miss Emmy” was about five years old. She came into the kitchen and said, “Mommy, when will you and Daddy get a divorce?” Her face was serious and her river water, green eyes were dark with concern. She was a very sober and serious child by nature, but, that night, she was eighty years old, if she was a day. I lifted her tiny body up onto my lap and asked her why she was worried about Mommy and Daddy getting a divorce? (We were happy, really happy, daily laughing and daily flirting with each other kind of happy…we hardly ever had a disagreement, and if we did, we did not disagree during “child hours”) She told me then, that so and so’s parents were getting a divorce and she just thought maybe we would too. I don’t know why I said this, it just came out of my mouth. The clouds parted then, Miss Emmy smiled with her whole little body, I felt her smile all through my body. When she jumped down from my lap, her little shoulders were back up, her eyes were merry, she was five years old again and her little world was “care bear” cozy. After the children went to bed, I told Poppa what Miss Emmy had asked me and how I had answered her. He looked down for a long minute, then, he shook his head, like the very thought of her thinking about such an awful thing pained him greatly. Then, he looked at me and smiled, “That’s right, we don’t believe in divorces” and then, he kissed me very sweetly. I guess what I am trying to say here, is that sometimes, you just have to say something and the mere saying of it, grounds it, empowers it, sets it in stone. Words are “things” they have life, they have energy, they have roots, they take root, they become powerful truths. We lost our precious Miss Emmy when she was twenty-two years old. People told me that it is normal for marriages to break up after the loss of a child, they said they wanted to prepare me that things between Poppa and I might change after such a tragedy. I just looked at them and kept quiet. I couldn’t utter one word. This is the first time that I have ever tried. Besides, real love never dies, we do not believe in that kind of thing. This entry was posted in Short Stories and tagged good man, merge well, miracle, mutual devotion, powerful truths, spooky, unconditional father. Bookmark the permalink. You got me teary-eyed there, you old crone! As always tenderly passionate and beautifully written. Congrats!